The Occupational Safety and Health Administration (OSHA) requirements for building ventilation help keep workers safe from breathing unclean air. The OSHA stipulates the amount of pollutants that can be in the air and requires enough ventilation to keep gases and other toxins at safe levels. OSHA requirements are the responsibility of the employer, and those who violate OSHA guidelines receive citations. The OSHA puts a limit on carbon monoxide exposure. Employees cannot work in an area with a concentration of carbon monoxide higher than 50 parts per million averaged over an eight-hour work day. Employers are responsible for testing carbon monoxide levels and increasing ventilation if they exceed more than an average 50 parts per million over eight hours. Portable blowers, which employers sometimes use for ventilation purposes, should have their intakes and belt drives covered for employee safety. Many solvents commonly used in construction have flammable vapors that become explosive at high enough concentrations. The OSHA requires ventilation of these vapors so that their concentrations are at 25 percent or lower than their lower explosive concentration limits. For example, the lower explosive level for turpentine is 0.8 percent turpentine in the air by volume, so the allowable concentration in work buildings is 25 percent of 0.8, or 0.2 percent turpentine particles in the air. Work areas with solvent vapors usually have exhaust systems to increase ventilation. The OSHA tells employers to train employees in the proper use of ventilation systems. According to OSHA requirements for building ventilation, different building ventilation systems require different inspections, but employers should regularly check all ventilation systems to make sure they work properly. Ventilation systems must be inspected daily, including hoods, ducts and pressure gauges, to assure proper operation. Fan housing, pulley belts, and air cleaner capacity must be checked weekly, and air cleaner components must be checked monthly. Lisa Chinn developed her research skills while working at a research university library. She writes for numerous publications, specializing in gardening, home care, wellness, copywriting, style and travel. Chinn also designs marketing materials, holds a Bachelor of Science in psychology and is working toward a PhD in cognitive neuroscience. Chinn, Lisa. "OSHA Requirements for Building Ventilation." 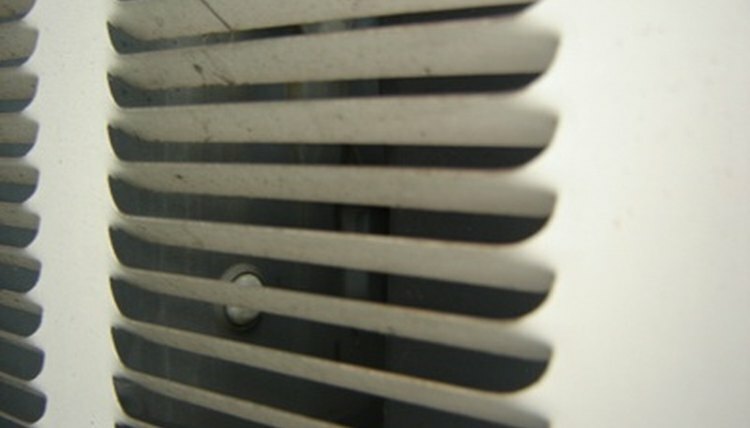 , https://legalbeagle.com/6705329-osha-requirements-building-ventilation.html. Accessed 22 April 2019.